Eating disorders are primarily characterized by an acute disruption of a person’s regular eating habits. There are several types of eating disorders. For instance, anorexia nervosa and bulimia are well-known examples. At the same time, there are also eating disorders which have become all the more common these past few years. These are real illnesses, there is no doubt about that. Like all other medical conditions, they can be treated. Do you know someone who is suffering from an eating disorder? Are you looking for specific ways to help that person out? This article seeks to help you with that. It delves into the specific characteristics of eating disorders so that readers can have a better understanding of how they work and what causes them. 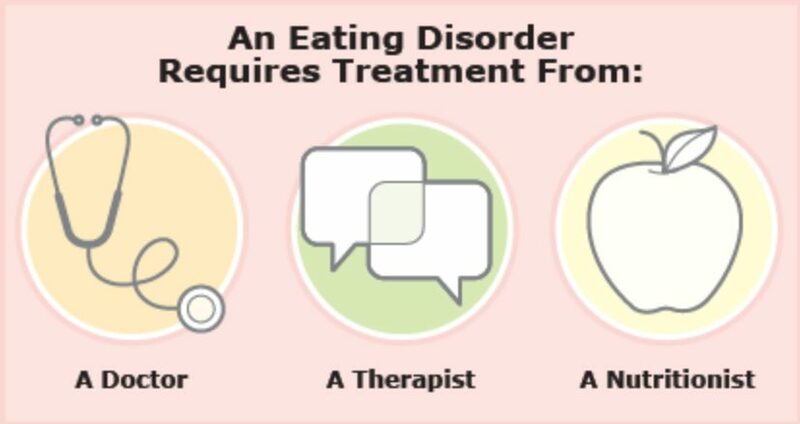 More importantly, this article also presents the different types of treatment for eating disorders. What is the science behind eating disorders? This section of the article provides readers with a general overview of such conditions. Readers need to understand what they are and how they can affect virtually anyone regardless of their race, gender, age, or body type. Contrary to popular belief, these disorders can be found in both the male and female populations. Eating disorders create an unhealthy relationship with food. In time, this will soon interfere with other areas of the person’s everyday life. They can manifest in a myriad of different ways. For instance, there are cases wherein a person would eat too little resulting in a drastic weight loss and rapid decline in health. 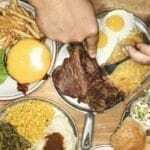 Conversely, there are also cases wherein a person would consume too much food which leads to obesity as well as a wide array of adverse effects on one’s health. 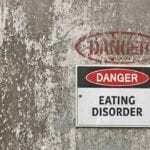 The Diagnostic and Statistical Manual of Mental Disorders lists down four main eating disorders. Namely, these are Anorexia Nervosa, Bulimia Nervosa, binge eating disorder, and Eating disorders not otherwise specified (EDNOS). In most cases, these disorders will take a bit of time before they can fully manifest. At first, the changes to the person’s diet would be gradual. Soon enough, these changes would become habitual before it fully consumes the person’s life. Someone suffering from an eating disorder may also become obsessed with their weight or body shape. At this point, they may start engaging in excessive exercise while refusing to eat. They may also become socially withdrawn. In advanced stages, the person may start binge-eating before self-induced vomiting episodes. It is vital that you pay attention to the warning signs. Although these types of disorders usually manifest during a person’s teenage years, there is also the distinct possibility for it to develop well into adulthood. It is also fairly common for these eating disorders to meld with other anxiety disorders such as depression or substance abuse. Needless to say, these symptoms can quickly become life-threatening. In fact, according to the National Institute of Mental Health(1), anorexia patients have are far more likely to die prematurely. This is why pursuing a treatment plan is vital. Before examining the different treatment options for eating disorder, it is of paramount importance that we take a look at its causes. Like with other mental illnesses there is no single cause that creates eating disorders. Instead, it is often a mixture of social, physiological, and psychological factors. That being said, it is vital that readers have an understanding of these different aspects. 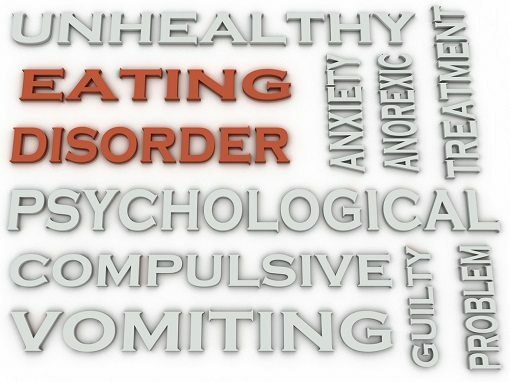 Listed below are just some of the factors which can affect the development of an eating disorder. Biological Factors – There are biological factors that need to be taken into consideration when it comes to these types of diseases. This is because some people are simply more vulnerable to eating disorders primarily due to their genetic make-up. This genetic predisposition can be easily passed down from parent to child. Pre-Existing Psychological Issues – Low self-esteem, depression, and anxiety, as well as other emotional and psychological problems, could help foster an eating disorder among individuals. Past Trauma and Problematic Family Dynamics – Like with other mental disorders, more often than not, past trauma plays a major role in creating them. Sexual abuse, family discord and pressure stemming from family expectations will inevitably play a role here. Cultural Perceptions – Sadly, western culture and mass media have created an unrealistic standard of beauty wherein a person’s value has been relegated to thinness and weight. The endless bombardment of images in the media, reinforced by peer pressure, will often give rise to a distorted body image. Before anything else, readers need to understand that there is no simple cure exists for eating disorders. The road to recovery can be rather bumpy but it is entirely possible as long as you commit to the treatment. For most cases, this entails a combination of multiple forms of therapy along with nutritional education and medical treatments. Readers should understand that the treatment for an eating disorder will likely depend on the specifics of the case. More than addressing the person’s weight issue, the treatments focus on any psychological problems which feed the disorder. This is done with the goal of reducing the chances of relapses once the treatment is done. As such, the treatment plan will be tailored according to the needs of the patient. 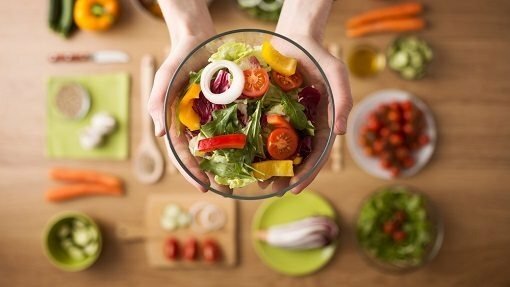 However, the general goal of the treatments still remains the same as they aim to break the unhealthy food habits and get the patient back to their optimal health. Of course, like with other health conditions, medicine also plays a crucial role here. The medicines used by physicians during the treatment are aimed at curbing the urges and lessening the obsessive thoughts that come with these conditions. In particular, these drugs are aimed at addressing the obsession surrounding food intake, exercise, and body image. These may include binge eating disorder treatment medications, antidepressants, as well as anti-anxiety agents just to name a few. Diet pills, laxatives, and diuretics can be easily abused by those suffering from an eating disorder. This happens more often than you would think, especially if there is no one monitoring the patient’s progress. It should go without saying that this is extremely dangerous behavior. Improper intake of such substances can lead to dehydration, rapid heartbeat, kidney problems, high blood pressure, heart failure, stroke, and even death. That is why these medications should not be consumed without proper supervision from medical professionals. Luckily, treatment facilities go out of their way to explain everything to the patients and ensure that they are taking their medications correctly. However, despite the importance and urgency of these treatments, the latest eating disorder treatment statistics show that only a measly 10 percent of the purported eating disorder patients ever get the help they need. Even today, as with other mental health conditions, there is still a societal stigma that comes with it. However, this should not stop anyone from seeking treatment. Keep in mind that early diagnosis is vital if you wish to fight this condition successfully. There is certainly no shortage of options for individuals seeking help. In some cases, patients may be required to stay at the treatment centers for the duration of the treatment. This is necessary for patients with advanced cases of the disorder. However, there are also outpatient eating disorder treatment options which allow patients to pursue treatment while still living in their homes. Given that the disorder is multifaceted in nature, it should go without saying that the entire process demands an entire team of medical professionals to deal with its individual aspects. On top of that, a supportive environment is vital. Whichever treatment option you choose, you need to ensure that you not only have a reliable medical team to oversee your progress but you must also ensure that you have an effective support system of friends and family to help you through this difficult process. Keep in mind that the most important thing is not the type of facility you go to, rather it is the sheer will and dedication to truly make yourself better. Presented below are some of the different types of eating disorder treatment centers available. Family-based Treatment – Family-based therapy is an effective treatment option if you feel that your children and teens are starting to exhibit the warning signs of an eating disorder. This particular program involves the whole family in treating and correcting the child’s eating habits. Moreover, it teaches the entire family how to properly support the child in fighting the disorder. Outpatient Treatment – More often than not, this serves as the first treatment of choice following the initial diagnosis. Outpatient rehab and treatment programs for your eating disorder are great if the patient also has to deal with their job, school or family. For most people, this alone would be enough to curb the unhealthy habits that come with their condition. However, it should be stated here that the patient should remain vigilant of the different factors that could trigger a relapse into old habits. Inpatient Treatment Centers – These facilities are also known as residential treatment centers. For some people, this particular treatment option serves as a second chance. This is because most patients only consider this option once their initial efforts with outpatient therapy prove to be unsuccessful. These facilities offer patients with a greater deal of stability compared to outpatient treatments as it creates a structured environment by blocking all the stress coming from the outside world. This has been proven to help patients focus their energies on learning the healthy food habits that they so desperately need. At the same time, the controlled environment helps patients break the cycle of compulsive behaviors and unhealthy obsessions. The entire process is done with regular visits to the therapist as well as to their personal counselors. This means that the progress is monitored on a daily basis, rendering the treatment all the more effective. One of the main goals of these facilities is to give patients the perspective they need to effectively deal with this problem. It gives them time to look at dysfunctional family relationships and negative influences at a distance so that they can properly assess the harm that these things create. By removing some of the factors that may have led to the eating disorder in the first place, this treatment gives patients the insight they need to truly make a change for the better. Luxury Eating Disorder Facilities – Luxury facilities are known to provide a kind of high-end care that most people are simply unfamiliar with. Basically, these facilities are very similar to inpatient treatment facilities. However, the main difference lies mainly on the level of relaxation and care patients get. For instance, most of these facilities have gourmet chefs on staff to provide patients with food that is both nutritious and tasty. They also get additional perks such as beachfront views and fully equipped gyms and spa facilities to help patients enjoy their stay. The main idea behind these treatment facilities is to give its residents a leisurely time on the road to recovery. As stated earlier in the article, the greater majority of eating disorder patients are left untreated. This is primarily due to a severe lack of understanding when it comes to the gravity of the situation. Make no mistake about it, eating disorders are serious health issues that have tremendous consequences. If left untreated, it can easily affect every aspect of the person’s life. Hopefully, the information presented here was able to shed some light on this often misunderstood condition. 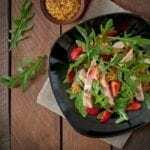 If you feel that you are suffering from one of the eating disorders presented in the article then the most important step is to seek a proper diagnosis. From there, you will need to steel yourself for the tough road ahead. For now, at least you can take solace in the fact that you have taken the first steps on your journey.